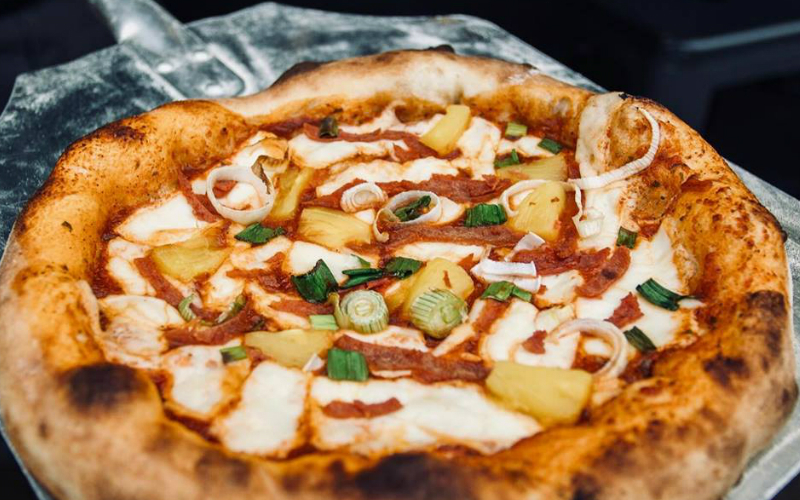 The best plant-based places in town. Fried “chicken”, to-fish tacos, chilli “non” carne… we’ve never had it so good when it comes to vegan grub. 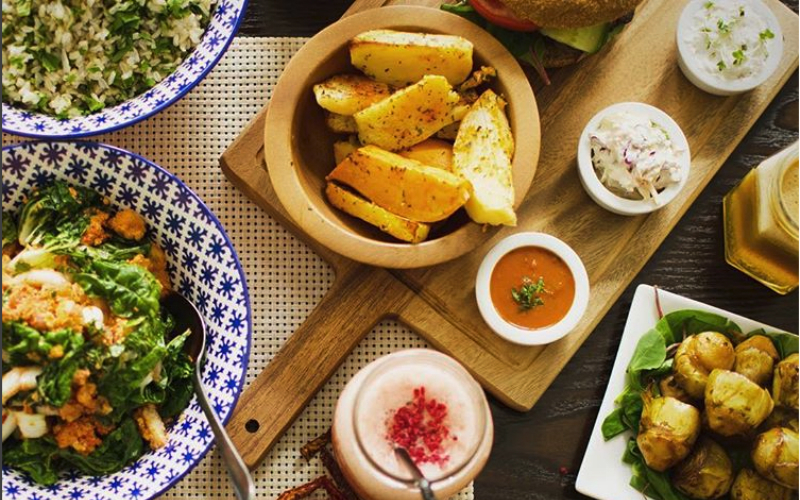 Discover the best vegan restaurants in London with our handy guide. 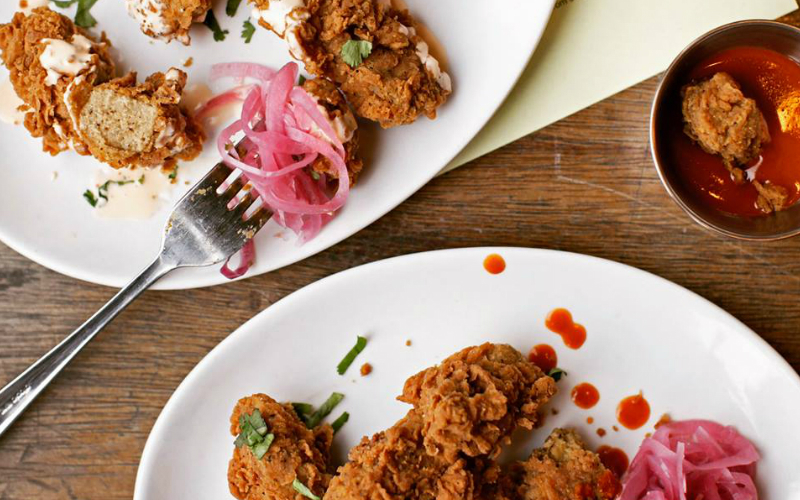 Want fried chicken just without the chicken part? There’s only one place to go and that’s Temple of Hackney. Ironically located right next door to a butchers, this “chicken” shop actually serves up seitan aka wheat gluten that’s been deep fried and seasoned, and it’s just like the real thing. Vegan Mexican? It’s happening at Club Mexicana, which you can find taking over the kitchen at The Spread Eagle in Homerton as well as at Dinerama and Camden Market. Spice up your life with some hot Baja to-fish tacos and BBQ pulled jackfruit burritos. De-lish. The Gate is one of the OG veggie restaurants in London and even after 25 plus years, they’re still going strong with sister sites in Islington and Marylebone. Much of the menu is already vegan but they’re also happy to swap out ingredients on other plates to make them vegan. And they’ve got some bangin’ vegan puds too. From dairy-free, gluten-free and egg-free pastries at breakfast, salad bowls and wraps at lunch and larger plates like Chili ‘non’ Carne, Ackee Burrito and the Wulf Burger made with a spicy bean and veggie patty topped with cashew aioli, Wulf & Lamb have you covered all day long. They’ve even got sweet stuff from Ruby’s of London so you can treat yourself too. Clean eating can also be indulgent eating and that’s exactly what Farmacy is all about. There’s vegan and gluten free nachos with guac and refried beans; a millet, black bean and mushroom burger; a spelt sourdough pizza and Austrian Sacher cake with tigernut milk Nice Cream, proving you don’t always have to stick to salads. 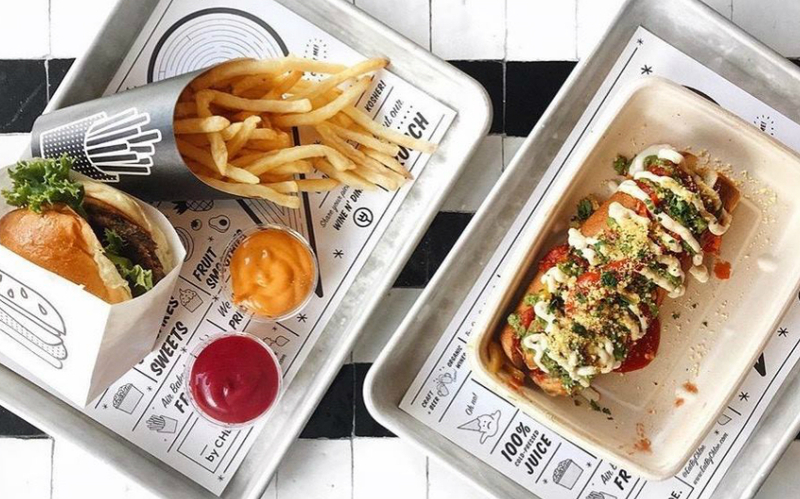 After an 18 month development of the concept Gizzi Erskine and Rosemary Ferguson have brought their plant-based fast food to Shoreditch. 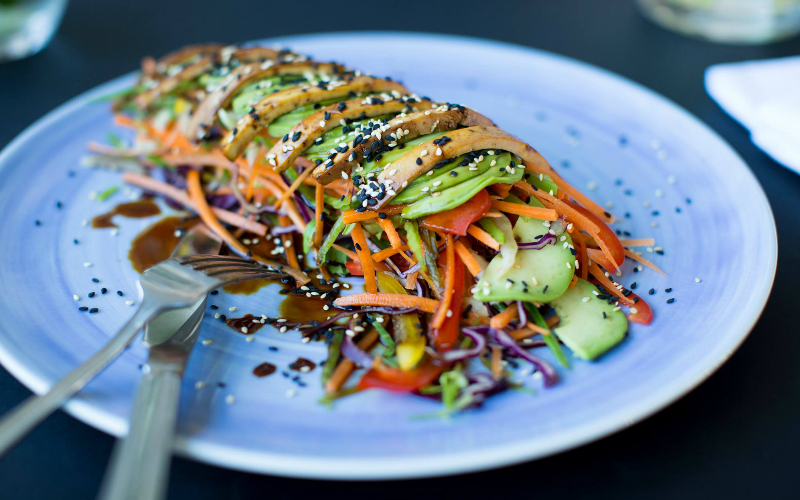 Filth is all about nutritionally rich and environmentally friendly food that still tastes indulgent. The signature Filth Burger, a black bean, black quinoa, soy mince and umami paste patty with beer cheese sauce, crispy onions, cucumber pickles, lettuce, confit garlic aioli and beetroot ketchup in a beetroot and black sesame bun, is totally vegan but tastes like a classic cheeseburger. The menu also features the Seoul Burger topped with kimchi, pear bulgogi sauce and gochujang aioli in a carrot and turmeric bun, and the even filthier Big Double, which is their take on a Big Mac, burger sauce and all. Add sweet potato fries covered in seaweed miso dust and a thick vegan shake on the side, and you’ve got fast food that’s good for you. 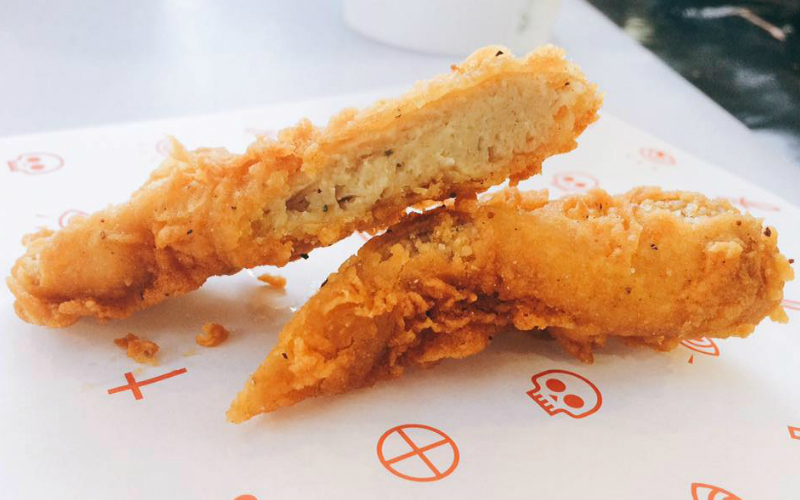 The guys at Biff’s Jack Shack have a real talent for transforming jackfruit into tasty patties and pieces, and even when fried it still counts as one of your five-a-day…WINNER. We love the Samuel Hell Jackson – a jackfruit burger with chipotle ‘slaw, maple chipotle hot sauce, jalepenos, burger cheese and hot sauce – and the ‘Buff’ Bangin wings, covered in vegan blue cheese and hot sauce. The Bang Bang fries are also a must, topped with cinnamon sweet chilli, miso mayo, nuts, crispy onion and coriander. 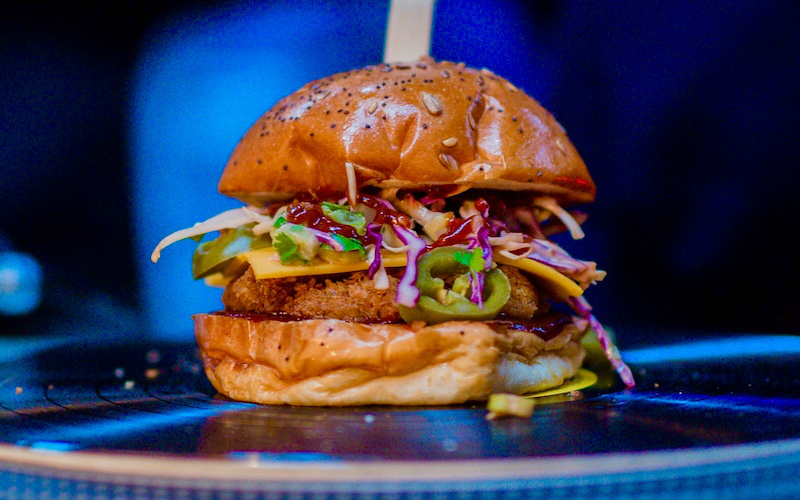 Afetr killing it on the festival and street food circuit, The Vurger Co finally went perm in Shoreditch in 2018. 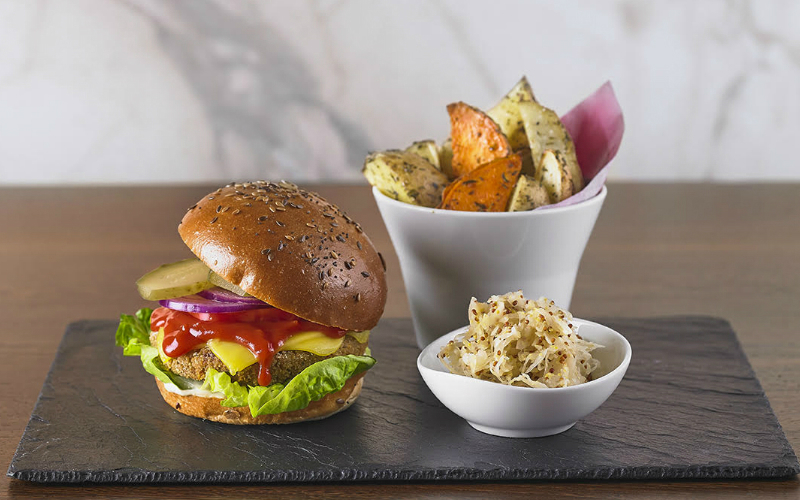 The restaurant serves up a full menu including the Tabasco Auburger, made from aubergines, chickpeas, red onion and vegan cheese, as well as the Classic, the Mexican and the MLT, packed full of baked mushrooms and rocket and topped with walnut and sundried tomato paste. Oh and there’s also the infamous mac’n’cheese and milkshakes. 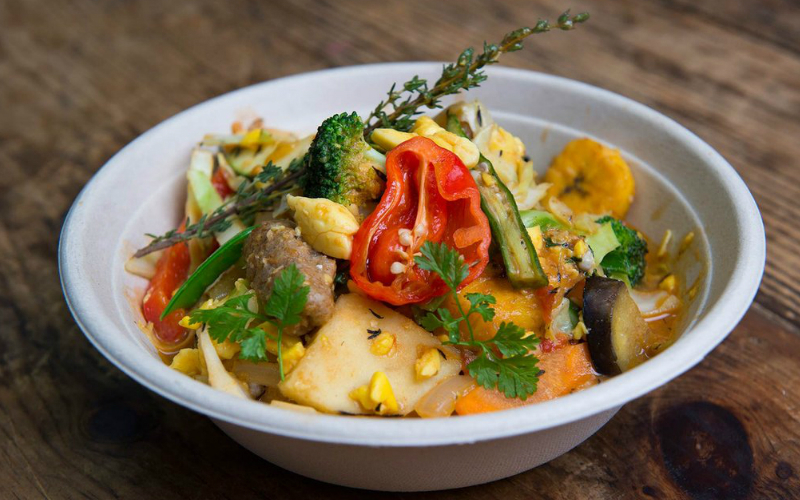 Full English, yam and dumplings, jerk, pad thai, jungle curry…this spot dishes out bowls of internationally inspired vegan goodness and with their chickn, baecon, prauns and puff tofu, you defo won’t miss the meat. Vegan Mexican? It’s happening at Club Mexicana, which you can find taking over the kitchen at The Spread Eagle in Homerton as well as at Dinerama. Spice up your life with some hot Baja to-fish tacos and BBQ pulled jackfruit burritos. 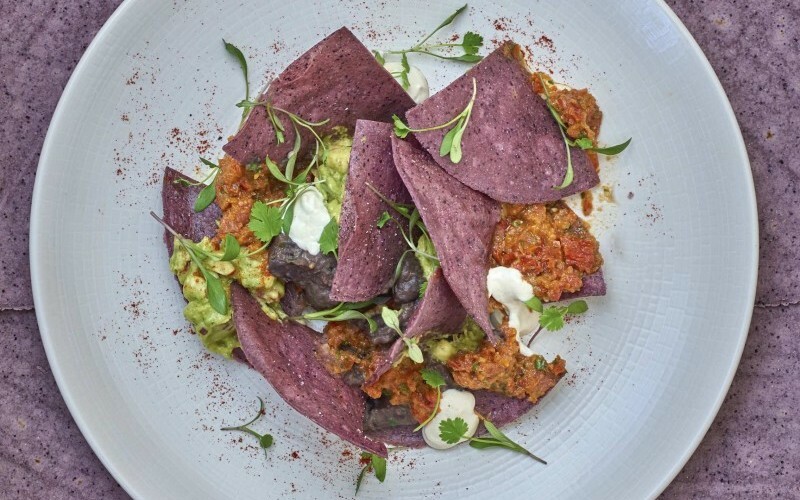 At The Spread Eagle, they do a vegan Mexican-inspired brunch on weekends including Huevos Rancheros, a Brunch Burrito, Chick’N and Waffles, and even a Mexicana Fry Up. This community-run cafe cooks simple and fresh food at affordable prices, and can you really ask for more than that? 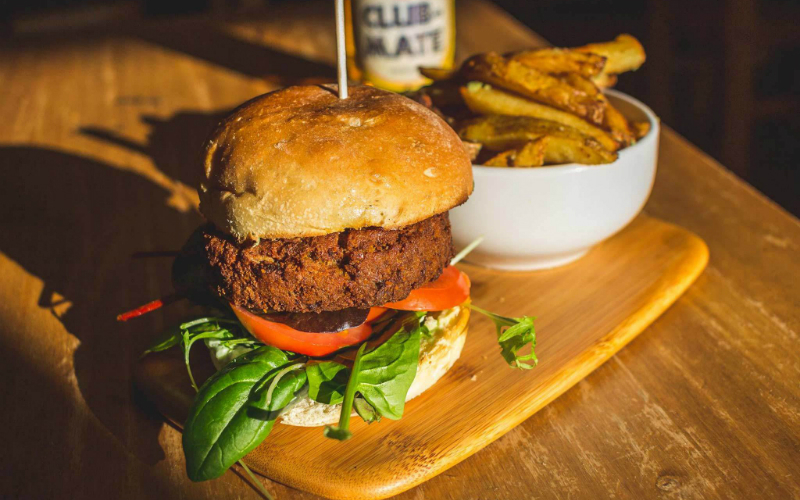 Their beef style burger, made with seitan and soya mince is levels above the rest but they’ve got everything from moussaka to deli sandwiches to lentil shepherd’s pie on the menu. 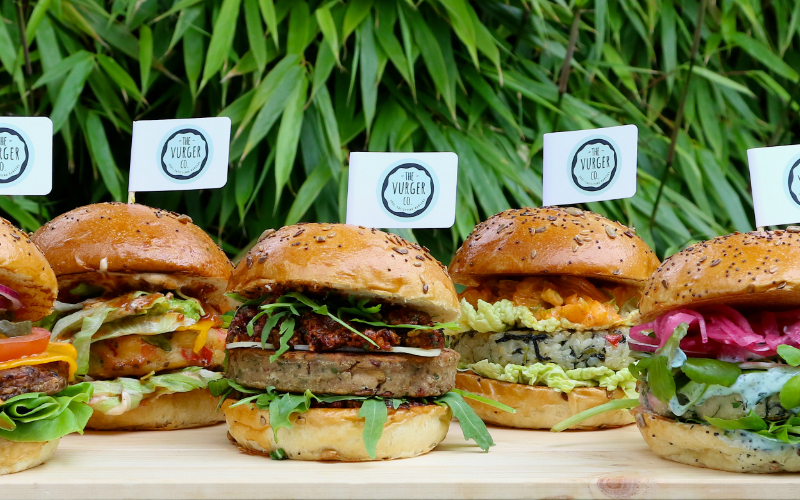 In case you hadn’t noticed, Londoners are mad for vegan food. 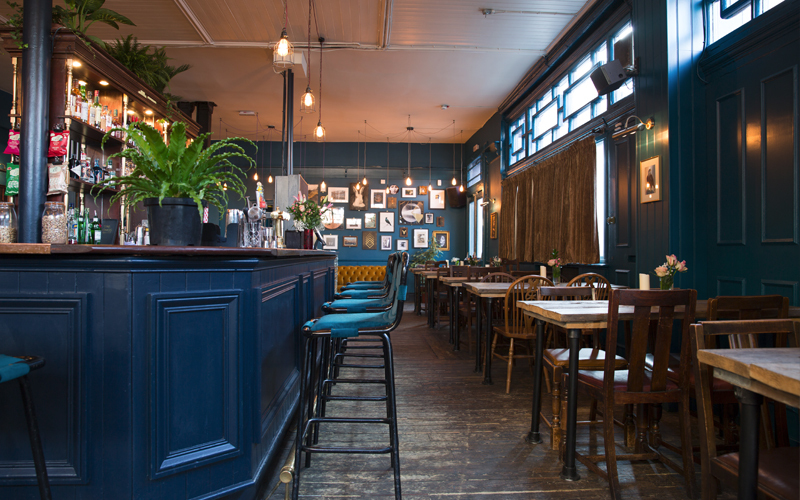 Luckily London has a 100% vegan pub, The Spread Eagle, in Hackney (where else?). 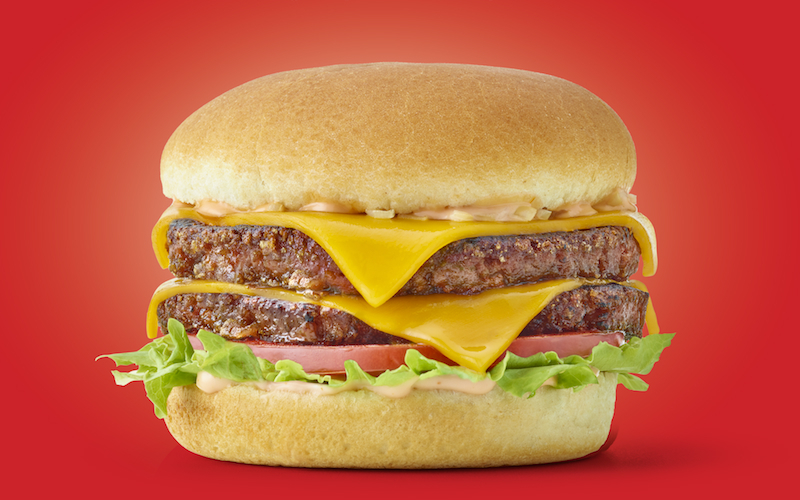 And when we say 100% vegan, we mean just that. Everything. The fixtures, the fittings, even the candles are all animal free. Club Mexicana is in charge of the grub so you can feast on baja to’fish tacos and chick’n wings, and wash it all down with vegan-friendly cocktails – their tequila sour uses aquafaba instead of egg white. Going since 2004, 222 was doing vegan way before it was cool. 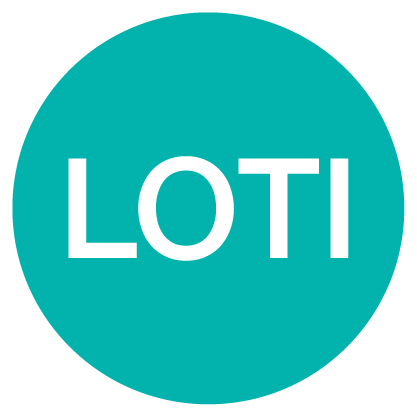 Their all-you-can-eat lunchtime buffet comes in at £11.50 and they do an a la carte menu in the evening, featuring the likes of seitan stroganoff, pumpkin and pine-nut risotto, egusi, and apple crumble. 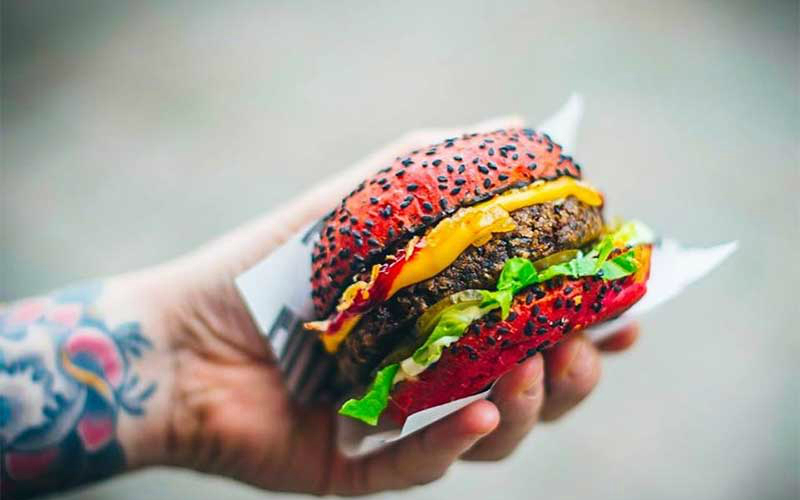 This POP Brixton spot is the world’s first restaurant dedicated to the bleeding plant-based burger. They’ve taken the Beyond Burger and added their own secret seasoning, serving it up as a hamburger, cheeseburger, quarter pounder and Halo burger (two patties, onion, cheese and signature sauce). In addition to the brand’s Covent Garden site, US fave By Chloe has also set up shop in Tower Bridge. The vegan menu includes mac ‘n’ cheese, guac burgers, meatballs, and nicoise salads with chickpea tuna as well as weekend brunch dishes like scrambled tofu and maple sausage with avo, sriracha and a potato bun.